This moving image night showcases film work from short film documentaries to conceptual moving image pieces. Water Lane Coffee has kindly opened their doors once again to host this event. Come and get the best coffee you will have in Canterbury, and arrive in time to grab a comfy seat. This style of moving image night is designed to be both supportive and inspiring. 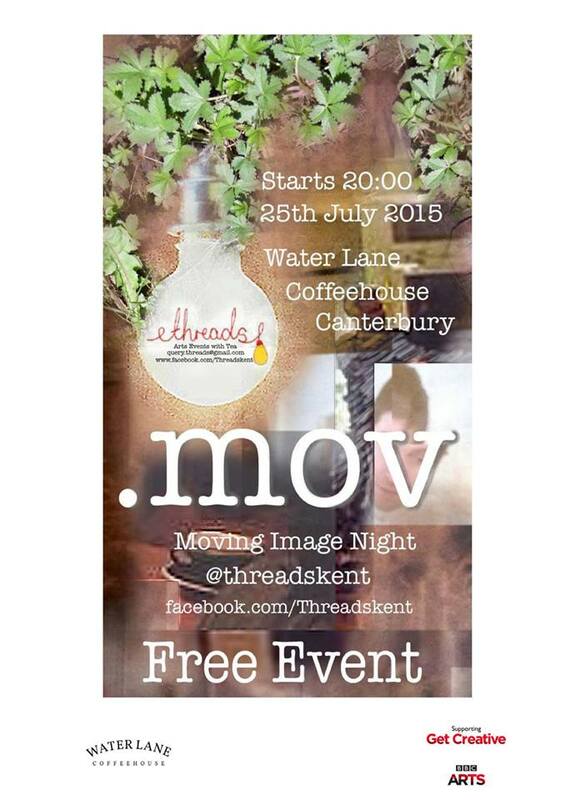 Threads welcomes you to come along to this free event, bring a mate and meet some new people! Try and sit next to someone you don’t know! Although this is a free event there will be a contribution pot to help reimburse Threads for the expenses made for running this event. We would really appreciate any small donation. This entry was posted on 10/07/2015 by Creatabot in Creative and Art Events.